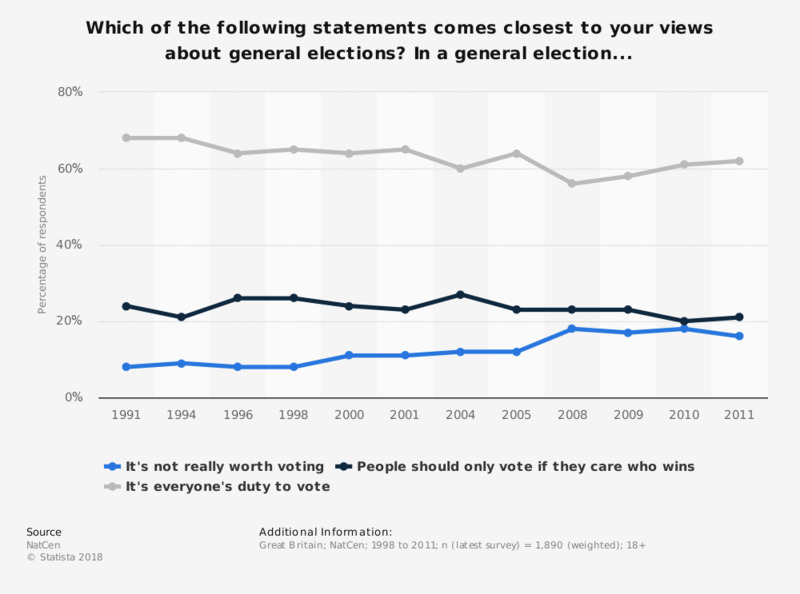 This statistic shows the attitude of the Great British public to the importance of voting in general elections from 1991 to 2011. In 2011, 16 percent of people said it is not really worth voting. This political disengagement is the latest figure in a growing trend, having doubled from 1991 to 2011. The majority of people though, despite a 6 percent drop, believe that it is everyone's duty to vote. Due to the effects of rounding and weighting, percentages will not always add to 100 percent. Do you think the situation in Scotland, including for the Scottish economy and society, will get better or worse as a result of Brexit or do you think it will stay about the same?